You would be forgiven to not have heard of Ellton Group, as a company they don’t have a high profile, or spend a lot on marketing activities. But, quietly chipping away at the mining sector, it’s come a long way from a company known for knocking out conveyors. Today Ellton Group has sustainably grown a business that now straddles energy efficiency, site engineering and bulk handling solutions. The company’s portfolio is impressive to say the least; recently completing a project for a major miner in the Queensland coal fields, providing a lightweight mainframe structure, which could run for several kilometres with an 1800mm wide main gate. 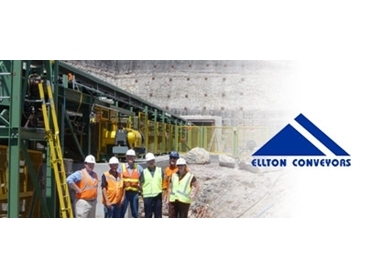 Ellton has also completed contracts that run into the tens-of-millions of dollars for the Hunter Valley’s largest miners, including a stock pile and train load out facility. Company managing director Mark Elliott explained that while most of the work is completed in Australia, the company is engineering focused not manufacturing orientated. “We’re well placed pursuing the right projects at the right time,” he said. Mining suppliers and service companies have in recent times been vocal about the affects of the downturn but weighing into the debate Elliot brought a sense of realism. “The market price for commodities has dropped right back, the demand has dropped right back, and we’ve built an enormous amount of capacity in the last five or seven years so all that capacity is trying to find a market,” he said. Elliot said miners are being far more cautious with capital expenditure and the days of production at any cost have disappeared. “Now it’s much more realistic,” he said. “Those that are in the mining game are looking for better cost control so they can still make a dollar. During boom times Ellton’s strategy was to bypass competition by looking for opportunities that were less tendered and less contractual. He warned that the bigger the boom, the bigger the bust and a coal downturn will impact the company because as coal production falls so does the need for conveyors. “We’re reassessing our product offering to make sure it is sustainable in a different market,” he said. Elliot said the business’ challenges aren’t finding work but rather meeting the commercial terms clients expect especially in terms of defined scope of works on bigger projects. But Ellton’s strength is in its diversified business model, a factor that will go a long way towards riding out a downturn. “Our business covers all the sectors, we’ve got engineering capability, component products, we supply idlers, pulleys and drives, and then we integrate that all into complete design supply construct packages as well,” Elliot said. Another branch of the group, Ellton Energy targets the energy efficiency and the energy management market, delivering commercial operations reductions in energy consumption rates. HunterNet chief executive officer Tony Cade told Australian Mining diversification is the key to downproofing business models. “The more agile these companies are, the better off they’ll be,” Cade said. Essentially the small to medium mine suppliers have two options - exit or increase efficiencies, Cade warned. “There’s now a lot of pressure on price which wasn’t experienced in the good times,” he said. And while these suppliers on a whole haven’t hit the panic button yet, they are concerned, Cade explained companies which are focussed on efficiencies and are accountable will fare the tougher times better. While the mining sector is moving into the next phase from construction to production and grapples with productivity and expenditure concerns, Elliott explained it remains an industry reliant on reputation and relationships. “It’s an industry that makes million dollar decisions but a lot of those decisions are guided by historical relationships,” he said. And so with that in mind, Ellton will continue to build on its track record of performance.